How are you celebrating the start of 2019? By sleeping off the fun you had on New Year’s Eve? Or did you get up early to greet the start of a new year filled with possibility and opportunity? I slept in. I spent the last week of the old year traveling so I ended 2018 exhausted and cranky from sleep deprivation. I decided I owed it to myself to start 2019 well-rested and refreshed. So, getting more sleep must be one of my New Year’s resolutions, right? Nope. I don’t make New Year’s resolutions. I used to but, as happens to so many others, by the third week of January—or, with luck, maybe the first week of February—I’d given up on most of them. I tried re-conceptualizing my resolutions as goals but that didn’t work, either. Goal or resolution, it went by the wayside before Spring. Instead of planning to “exercise more,” I plan to attend barre on Sunday, Tuesday, and Thursday evenings and Pilates on Saturday mornings. This plan is specific—barre and Pilates classes on certain days of the week, measurable—I either went to class or I didn’t, yes/no, a binary response, achievable—both barre and Pilates classes are available within 5 miles of both home and work and the MindBody app makes it ridiculously simple to sign-up for class, realistic—let’s be honest, attending class for one hour, 4 days a week won’t significantly disrupt my life, and timely—at the end of each month I can look at the calendar and determine whether or not my plan worked. SMART planning is useful for more than just exercise regimes. I’m also going to create SMART plans for writing, reading, and spending. But, because SMART planning requires deliberation, I’ve given myself permission to take more than a day to create them. I figure if I’ve mapped them out by the end of January, I’ll still have most of the new year to put them into action. What about you? Are you a New Year’s resolver, goal-setter, planner, or free spirit? 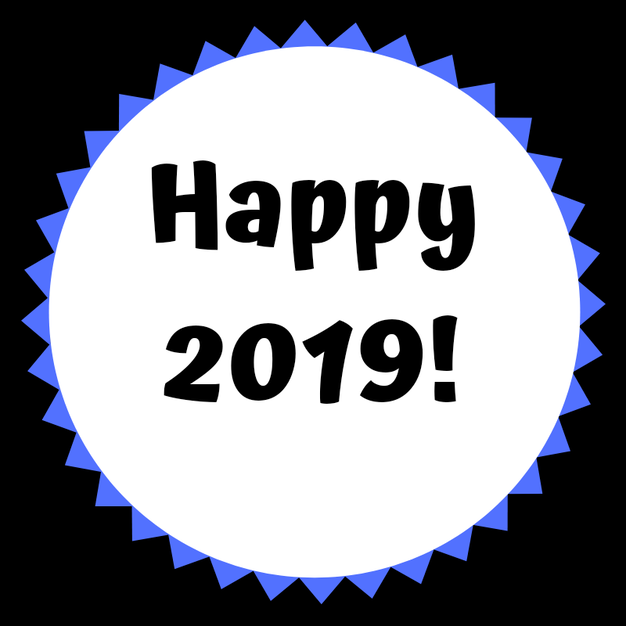 What are some of your resolutions/goals/plans for 2019?